One of my most favorite things I look forward to all year is when my mom and I go on the Sisterhood's bus trip to New York. We leave the synagogue around 8:30am, get up to New York around 10:45, and then walk around the city and get lunch. At 2pm, we see a Broadway show matinee. Afterwards, we board the bus and make our way back home. This trip was particularly wonderful, as both the restaurant at which we dined and the show we saw were both outstanding. Check out what we ate and watched below! Blossom on Columbus | Per my usual way of researching restaurants, I discovered Blossom on Columbus on Yelp. Both the menu and location from the theater was appealing and therefore we made the decision to check it out. I must say, we were both blown away! We arrived a little after noon and the narrow, yet deep, restaurant was close to empty. We were able to get a cozy booth and receive immediate attention from our waiter. After perusing the menu for several minutes, my mom and I chose the kale salad, quinoa burger, and you-pick-four small tastes of roasted brussels sprouts, broccolini, mesclun salad, and truffle mashed potatoes. I also ordered a green tea and our waters were refilled consistently. As a gluten-free vegan, I really appreciated the all gluten-free items on the menu are clearly denoted, of which, there are many. Our meals arrived very quickly, which was appreciated since we were both really hungry. 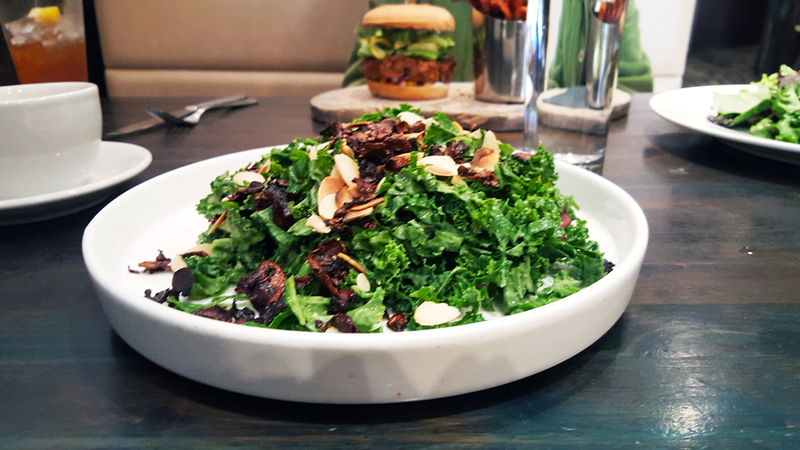 The kale salad was substantial and topped with almonds, shittake bacon, and dressed with avocado-lime dressing. As a kale lover, I really enjoyed this salad. I will say, however, that the shiitake "bacon" really just tasted like burnt, crispy mushrooms. Luckily, I love the taste of slightly burnt food! My mom's quinoa burger was quite a show stopper. 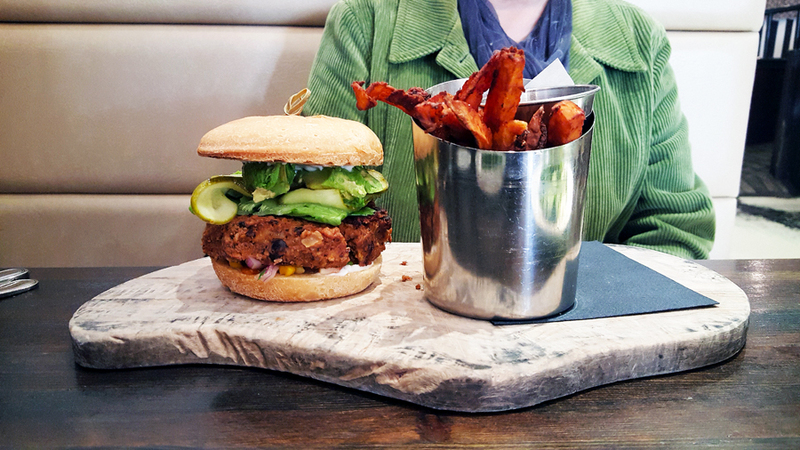 It was large and very substantial, and came with sweet potato fries. We also asked it to be made on a gluten-free bun so I could also have some. The burger was super filling and slightly spicy. My mom ate the burger, but left a majority of the bun since it was so much food. We both enjoyed the sweet potato fries, although they were a bit on the soggy side. The you-pick-five small tastes was a complete hit for both of us. Our favorite was by far the brussels sprouts, which were perfectly roasted and crispy. 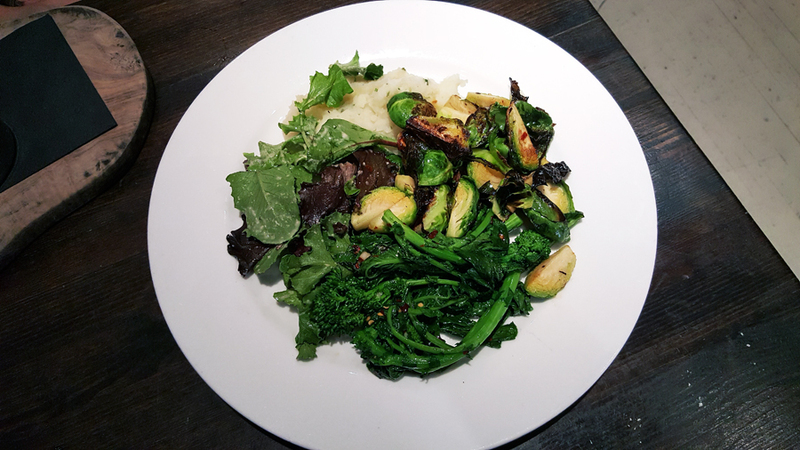 I also really liked the broccolini, which had a bit of kick to it with red pepper flakes, and the mesclun salad, which had a nice pear dressing. My mom really liked the mashed potatoes. We both left the restaurant feeling very satisfied but not overly full and gross. We walked back to the theater plotting our next trip to the restaurant and how we'll order two sides of the brussels sprouts. 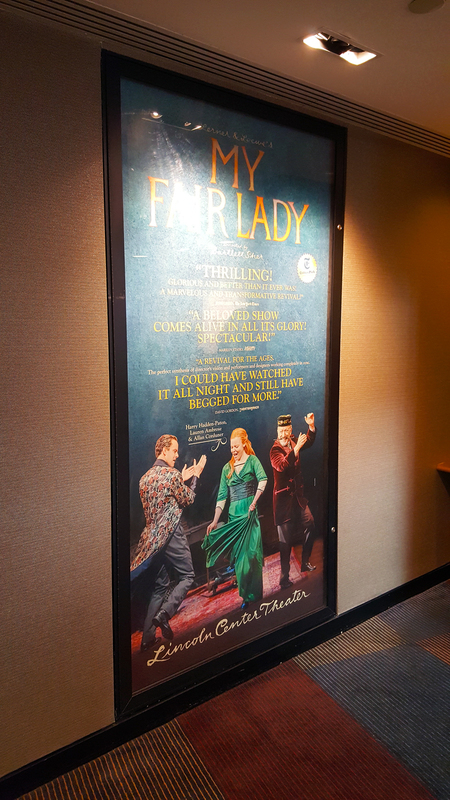 My Fair Lady | My Fair Lady was performed at the Lincoln Center Theater. By far, it was the fanciest and largest Broadway Theater I ever attended. It was clean and provided ample space for the large audience. I had never seen My Fair Lady before and was not sure how much I'd enjoy it. But, I thought it was terrific! The first thing I realized when the show started was that Lauren Ambrose played Eliza Doolittle. 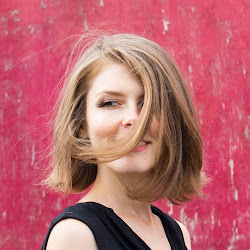 I noticed her red hair and recognized her voice immediately. Not only is she a wonderful actor but she has an absolutely incredible voice. She definitely took the show to the next level. My Fair Lady is a longer show; the first act alone is almost two hours! The show ended around 5:15. However, I was not bored or falling asleep at all. The music was spectacular; I had no idea so many well known songs are from My Fair Lady! The ending was a bit vague and different from the movie's ending. However, my mom and I appreciated the feminist undertone. We both loved My Fair Lady and highly recommend it! Lauren Ambrose is so wonderful and worth the trip alone. Never been to NYC but if I ever go there I will definitely have a meal in Blossom at Columbus. Love the green jacket by the way! A fellow vegan from the Canary Islands (working in Bulgaria at present). I enjoyed reading your restaurant review. Blossom catered our vegan wedding 8 years ago. They did such a good job that so many people- not vegans or vegetarians kept telling us how amazing the food was.